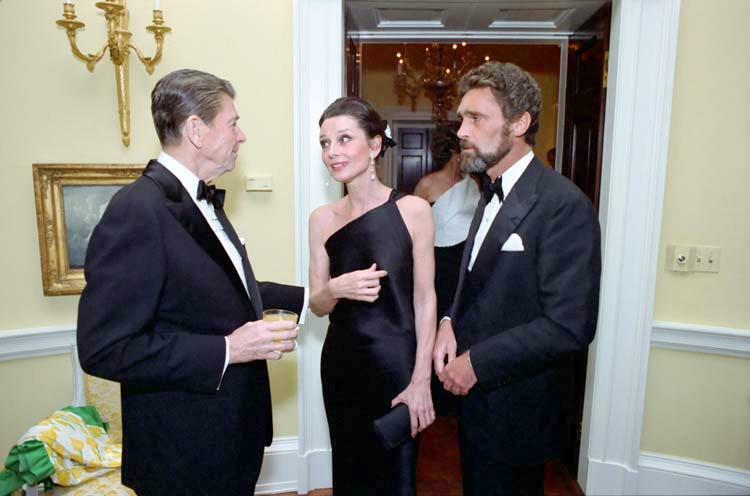 President Reagan, Audrey Hepburn and Robert Wolders at a private dinner at the White House. For those of you who are too young to have experienced Audrey Hepburn she is considered to be among the kindest and most beautiful women the world has ever known. This entry was posted in Communications Theory, Culture War, History, Reagan, True Talking Points and tagged audrey hepburn, entertainment, hollywood, politics, quotes, robert wolders. Bookmark the permalink. Although Hepburn was one of the most beautiful women. I do not think she was one of the kindest!